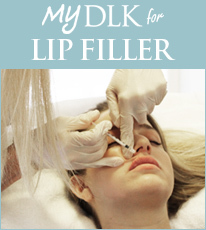 Cosmetic laser treatments are one of the fastest growing medical procedures. They’re used for hair removal, skin tightening, and wrinkle reduction. And they can produce amazing results. They’re sold to you through online daily deal sites, at hair salons, medical spas and even tanning salons. The ubiquity of the marketing has lulled many patients into thinking it’s as safe and “pain-free” as advertised. But put one of these lasers in the hands of someone without the right training, and you can end up with permanent skin damage. Cosmetic lasers and “intense pulsed light“(IPL) machines are Class 3 medical devices. They’re powerful machines with the capability to damage your eyes and permanently mark your skin. Right now, as W5 learned, anybody can use these high-tech and high-risk medical devices. In fact, laser treatments are one of the most unregulated medical procedures in Canada. You don’t have to be a doctor or have any medical training. Dr. Lisa Kellett, a Toronto dermatologist with 20 years experience, is frustrated by the lack of regulations. Every week, she treats patients injured from poorly-trained practitioners. Patients have suffered severe complications: burns, pigment change, infections and permanent scarring. “I really feel for them because they went to the wrong place, had the wrong person do the treatment, or used the wrong device” said Kellett. Dadra says she was told the procedure was risk-free, there are no side effects, and it’s relatively painless. Instead, Dadra’s abdomen was left covered in rectangular blistering burns. Stories like Dadra’s prompted W5 to take hidden cameras into beauty salons to investigate the advice given to prospective customers. At several randomly-selected salons, our secret shoppers were told that there are no side effects to worry about at all. According to Kellett, patients should be warned there are risks to every medical procedure. On hidden camera, aestheticians told W5 that the one machine in their salon was safe for all skin types. ButKellett, who has six different lasers in her office, said this is false and misleading. “One device is better for lighter skins and one device is better for darker skins and, for us it’s a safety issue,” said Kellett. Since most people end up going to a dermatologist for treatment of their scars and burns, W5 asked the Canadian Dermatology Association to survey doctors across the country on our behalf. We wanted to know how many of them had treated patients injured from cosmetic laser treatments. Calls for regulation Bargman is concerned about what he describes as the government’s “wild west” approach to these cosmetic procedures. When W5 asked Health Canada for an on-camera interview, the department declined our request and said the regulation of these medical procedures doesn’t fall within their jurisdiction and claimed that Health Canada only regulates the safety of the equipment and that the “Practice of Medicine” falls under provincial jurisdiction. When W5 asked the Ontario Ministry of Health and Long-Term Care about their regulations, they told us they only regulate health professionals. In other words, the Ontario government doesn’t regulate who uses the cosmetic lasers either. It seems like no government agency is taking responsibility for cleaning up this beauty business. Armed with the results of their survey, the Canadian Dermatology Association is planning to take the lead and is developing regulatory guidelines. 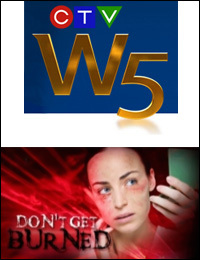 The association told W5 that they will be advocating for the support and adoption of these guidelines in light of the astounding number of improperly trained personnel and the extent and severity of patients’ injuries.